As a teacher, Ms. Edwards is available through her private studio or in a group/school setting. She is also active as a clinician, a coach for performance/audition preparation, for masterclasses, school assemblies and as a music theory/ear-training instructor. Ms. Edwards’ teaching philosophy is to share her joy of making music through a deeper understanding of music and performance practices. Ms. Edwards has extensive teaching experience that includes University of San Francisco, San Francisco State University, San Francisco School of the Arts, City College of San Francisco and Laney College. GEMS was established by Ms. Edwards in 1980 where she teaches both private and groups lessons. This provides an opportunity for students to work on their individual skills as well as experience the joy of making music with others. GEMS Flute Choir for middle and high school students. 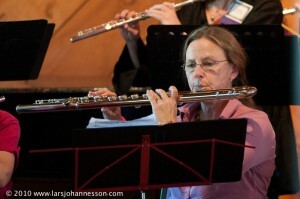 Bel Canto Flutes for adult amateurs in San Francisco. Pacifica’s annual street fair, the Fog Fest. 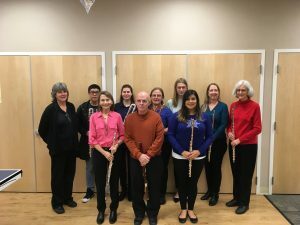 Founded in 2000, Bel Canto Flutes, formerly the San Francisco State University’s Flute Choir, is open to any flutist intermediate level and above. 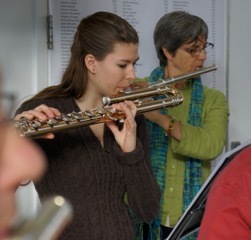 For the Spring 2010 season, we rehearse each Tuesday from 7:00 – 9:00 PM in the Stonestown area of San Francisco. This is a new group that rehearses on Tuesday afternoons from 1-3 at West Valley Music in Mountain View. 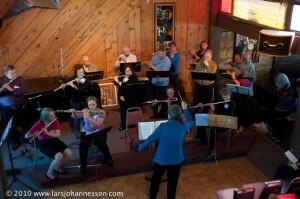 For more information on this group please visit my flute choir page. Repertoire for these groups includes a mixture of pieces written expressly for flute choirs which include piccolo, Eb, alto and bass flutes, as well as a wide variety of arrangements. 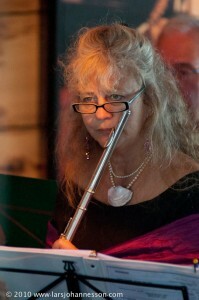 Arrangements include pieces from orchestral, chamber, opera, and lighter settings. Each semester culminates in a performance which is free and open to the public. Register for this class by contacting Gail at 650.359.5668, flutege@sbcglobal.net Summer classes are also available.